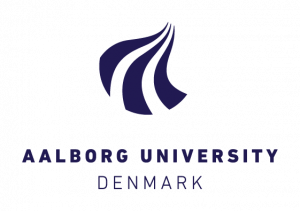 Aalborg University Drone Research Lab focuses on drone research on all kinds of aspects like autonomy, communication, safety and risk, industrial use and mapping. “After extensive research on the Long Range UAV market we chose the HEF 32 UAV because of the high professional level of technicians, knowledge and elaborate documentation. High Eye also has a manned aviation background and is very open in its approach and communication”, Anders says, Professor & Manager of Drone Research Lab of Aalborg University. To be able to test and develop projects Aalborg has labs for motion tracking and autonomous vehicles, a machine and electronic workshop and a testing airfield nearby. The Aalborg Drone reseach lab is doing research and runs project with BVLOS Remotely Piloted Aircraft Systems (RPAS). The HEF 32 UAV has the advantage to be very flexible in changing to different payloads. The HEF 32 UAV is designed for intergrating different payloads easily. This way we are able to test and offer different data collection needs, like optical or infrared (IR), multi spectral, lidar or gas sensors. The dedicated payload bay and mounting plate provides an unrestricted field-of-view of more than 90 degrees to the left and right of the aircraft’s center line.